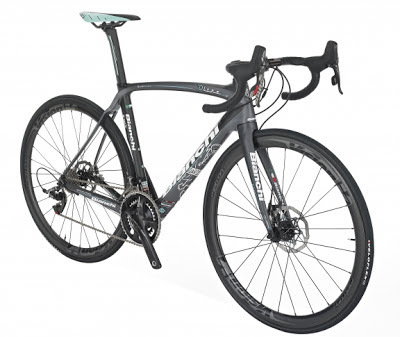 Bianchi follows Colnago and Pinarello with a road disc model, for 2014 the XR2 Disc model is equipped with SRAM Red 22 with hydraulic brakes. 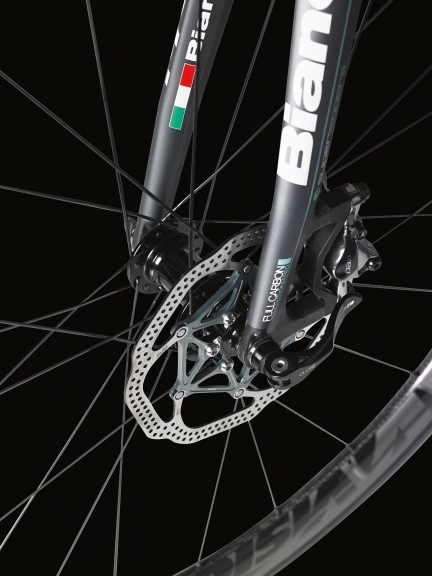 March, 2012:Colnago C59 Disc, Disc Brakes the Next Wave? May, 2013:Pinarello Dogma with Disc Brakes, Arriving When? 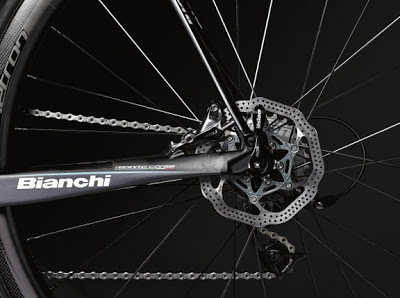 Hydraulic brakes also use brake levers to push fluid from a reservoir through a hose to move pistons in a caliper, thus forcing pads against a braking surface. While hydraulic rim brakes exist, today the hydraulic actuation mechanism is identified mostly with Disc brakes.